FREE e-mail alerts on your MS meds! "Dr. Vollmer is close to a MS cure..but..he needs you to help by joining a trial!" "MY EDUCATIONAL VIDEO ON MS"
"THE VOLUNTARY SUSPENSION OF TYSABRI BY BIOGEN IDEC AND ELAN"
"I FEEL GOOD ABOUT FINDING A CURE FOR MS"
"I'M PRESIDENT OF THE NATIONAL MS SOCIETY.. I WANT TO HELP YOU!" "THE MS SOCIETY OFFERS MANY PROGRAMS TO HELP...EVERYTHING FROM PILATES & SUPPORT GROUPS TO HORSEBACK RIDING"
As a 22-year-old flight attendant for British Airways, Mackie got her dream assignment: a flight and 10 days in Rio. But after a day of sunbathing on Copacabana Beach, a disquieting numbness crept through her body; after a collapse, she ended up in a Rio hospital, becoming more debilitated by the hour and, unable to speak Portuguese, utterly terrified. Three months and many painful tests later, she received her grim diagnosis: multiple sclerosis (MS), a degenerative disease of the brain and central nervous system. 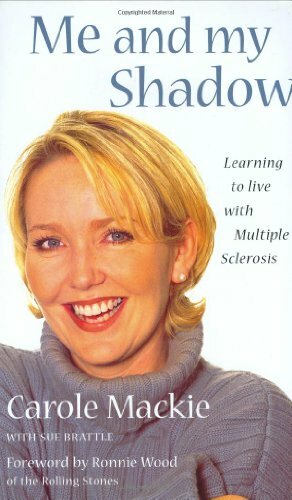 In this down-to-earth memoir, she details her struggle to come to terms with MS, regain control over her life and raise consciousness about an incurable and severely disabling disease that afflicts millions. In this somewhat overwritten account, she comes across as a highly engaging yet very ordinary girl next-door. Brutally frank about the toll MS takes and her feelings of isolation, Mackie gives vent to her anger, frustration and her need to heal. She loses her live-in boyfriend of four years (though some readers may find him an insensitive lout she's well rid of); copes with the constant stress of informing family, friends and co-workers about her disease; battles to keep her job and stay solvent; and faces a series of painful and frightening relapses as well as the knowledge that more will come. Though "grieving the loss of her health," Mackie investigates alternative treatments, becomes a spokesperson for the disease and organizes fund-raising benefits. Her memoir is a good introduction to the subject for the newly diagnosed, their families and friends.